Creating beautiful, long-lasting and low maintenance decks for the holiday home and domestic market, Liniar manufactures all of its decking products in the same lead-free uPVC as its windows, doors and conservatories. With more than 15 years of experience in the holiday home market, Liniar is the only range that’s designed, modelled, tooled, manufactured, foiled and stocked at Liniar’s state-of-the-art 400,000ft² facility in the heart of the UK. We can deliver to almost anywhere in the UK using Liniar’s own transport – and because most components are available from stock, lead times are kept low, meaning your deck can usually be supplied quickly to site to be installed by one of our trusted decking installers. Whether it’s for your holiday home or for your garden, you can be assured of a top quality product with Liniar’s unparalleled attention to design and engineering details, together with a great level of customer service – all at a competitive price. Now available – Decking Kits! As part of our commitment to making the installation of our products as simple as possible, Liniar decking is now available in kit format. Find out more information here. Liniar’s galvanised steel sub-frame creates the ideal base on which to build your deck. Liniar’s sub-frame consists of just two components – a galvanised steel ‘I’ beam and it’s connector. The sub-frame is connected into a grid pattern and the deckboards are fitted directly to the joists. We’ve further improved the system by developing a new 600mm uPVC sub-frame Nogging and pre-slotting the steel. You can see the significant time saving this has created by watching our comparison video. The Liniar system has been tested for strength by loading a 2m x 2m deck with a total weight of 1,250kg (1.25 tons). This represented a loading of 521kg per square metre. The load applied was left for two days on three different deck samples, resulting in no signs of bowing, wear or strain on any of the decks – evidence of just how strong the system really is. The uPVC system contains waterproofing properties and the decking is manufactured with an anti-slip tread for additional safety, particularly when the surface is wet. The decking is constructed onto a galvanised steel sub-frame, which offers greater strength and durability than more traditional materials. Additionally, our uPVC components carry a Class 1 Y fire rating for surface spread of fire. Either steps or ramps can be incorporated into most designs, providing an attractive, personalised entrance or easy access for those with mobility difficulties. The low maintenance Liniar range has been carefully crafted, not only to add real value, functionality and style, but also to meet the strictest environmental legislation. The whole system uses recycled materials wherever possible and is completely lead-free, making it better for the environment and better for you and your family. Designed by Liniar’s in-house team, Liniar’s stylish deckboards offer a great degree of durability and strength. Carrying a Class 1 fire rating for peace of mind, each Liniar deckboard is slightly domed in the centre to maximise drainage, and are available in two attractive designs, Deluxe and Classic. The need for fiddly clips to fix down Liniar’s deckboards has been elimated – they feature a tongue and groove design to enable faster fitting, and also have hidden drain holes. All fixings are hidden away for great aesthetics and safety, just like the balustrade system. Liniar decking, made from 83% recycled materials, has been tested for slip resistance (BS7679), wear (BS EN660:1999 and BS EN428:1993), with an anti-slip surface making them safe in both wet and dry conditions. Liniar deckboards are available in a choice of five colours – cream, stone, beige, grey and brown. 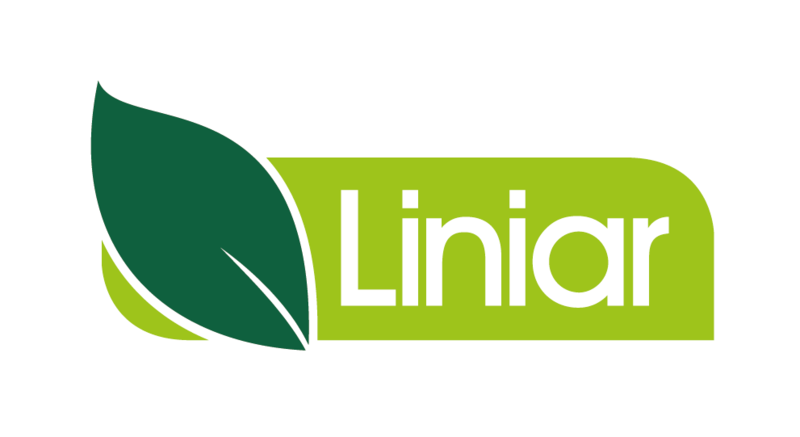 Liniar decking products can be purchased direct from Liniar, or get in touch to find your nearest installer. Liniar’s decking range is made from lead-free, energy efficient, recyclable uPVC, making it a sustainable choice. Liniar invests in developing its range of uPVC decking, with benefits for fabricators, installers and homeowners. The HL Plastics factory where Liniar uPVC decking is manufactured is accredited with ISO 9001 quality standards. Liniar uPVC decking is fully tested in-house and independently for robustness, durability, weather and for quality. We work with holiday parks to provide tailored solutions, whatever the type of caravan, lodge or holiday home.